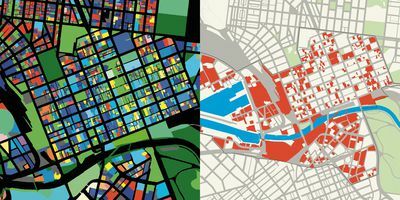 At a time when Melbourne is undergoing the greatest transformation since the Gold Rush, it's poignant to sit down and reflect on the changes that urban design and architecture have on the people who work and live within it. Always an urbane place, Melbourne has emerged from the 1980s as a city with a depth of character and urban buzz. How well do you know Melbourne? Did you know during that Gold Rush, Melbourne was transformed into one of the world's greatest and richest cities? That Chinatown was founded in 1851? Melbourne has five out of six of the tallest buildings in Australia? Already knew those? What about these? Swanston Street has long been Melbourne’s principal ceremonial street, with a string of historic and iconic buildings – St Paul’s Cathedral, the Town Hall, Capitol Theatre, State Library and RMIT University – dotted along its city-centre length. 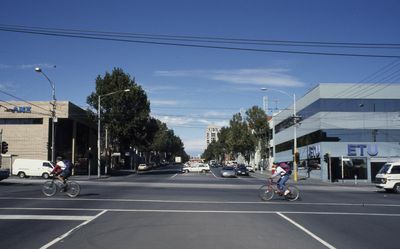 Unfortunately, in 1985 it also functioned as a congested traffic artery, with close to 90 percent of the vehicles travelling on Swanston Street having neither an origin nor a destination in the city. 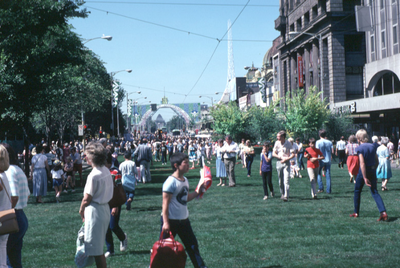 Professor David Yencken of the University of Melbourne, then working under the Cain Labor Government of 1982-1988, was tasked with changing perceptions of the city through the rethinking of public city spaces. The ‘greening’ of Swanston Street was one such project – a dramatic transformation which saw a carpet of grass laid down the length of Swanston Street overnight. An estimated 500,000 people attended the street party to experience the temporarily-lush concrete jungle. This project sowed the seed for the eventual closure of Swanston Street to traffic in 1992. In the eyes of the public, Vault was well be considered a failure of public funds and art. 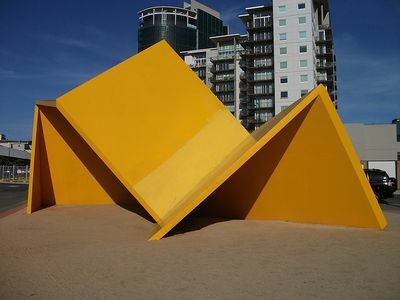 Ron Roberston-Swann’s infamous, much-maligned, canary-yellow sculpture Vault had a short-lived placement in Melbourne’s City Square in 1978 before it was labelled an eyesore – ‘The Yellow Peril’ – and banished to a lonely, unlit plot in Batman Park. Ron Jones explains how this sculpture became the ‘battle standard’ around which debates surrounding taste and public design took place in late 1970s Australia. 'Vault' eventually found its current resting place at the Australian Centre for Contemporary Art, and while still attracts criticism, Jones comments that Melburnians are now more appreciative of diversity in art – old and new, familiar and challenging, high and low – than they were in 1980 when Vault was banished from its intended home. 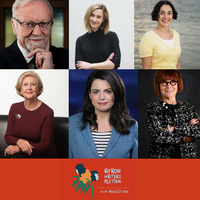 Melbourne is oft-cited as Australia’s literary heart, and in 2008 joined the UNESCO Creative Cities Network when it was crowned the first and only City of Literature in Australia, and the second in the world. 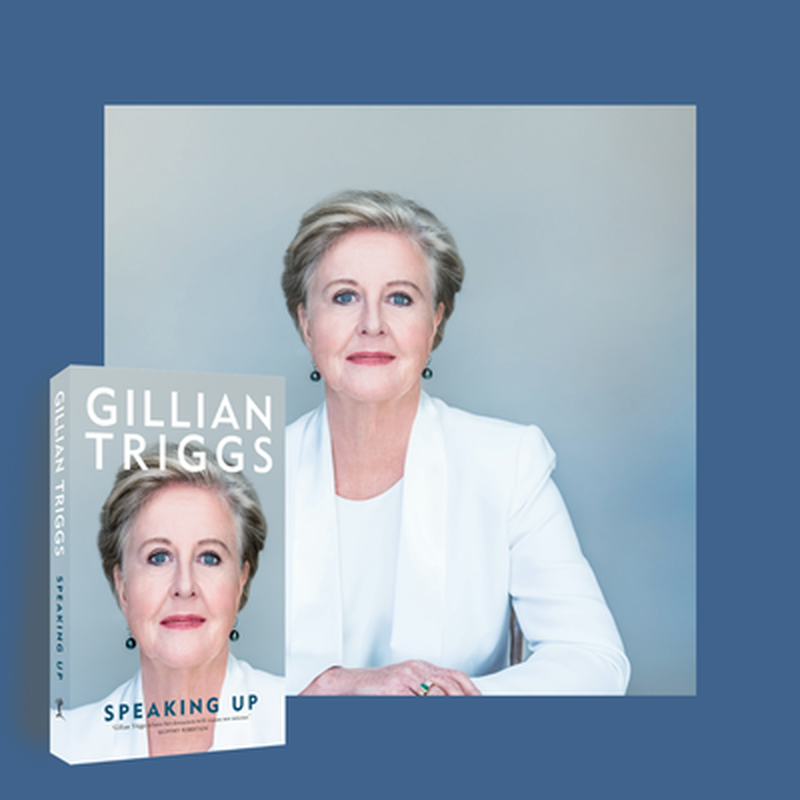 Melbourne has been a source of inspiration for many celebrated contemporary writers – from Garner and Temple to Tsiolkas, Zable and Murnane – but it’s a little-known fact that our gritty laneways and bustling streets have proved the perfect backdrop to crime novels all the way back to the mid-1850s. In 1886, barrister Fergus Hume self-published The Mystery of a Hansom Cab, a sensation which sold over 20 000 copies – a bestseller by today’s standards. 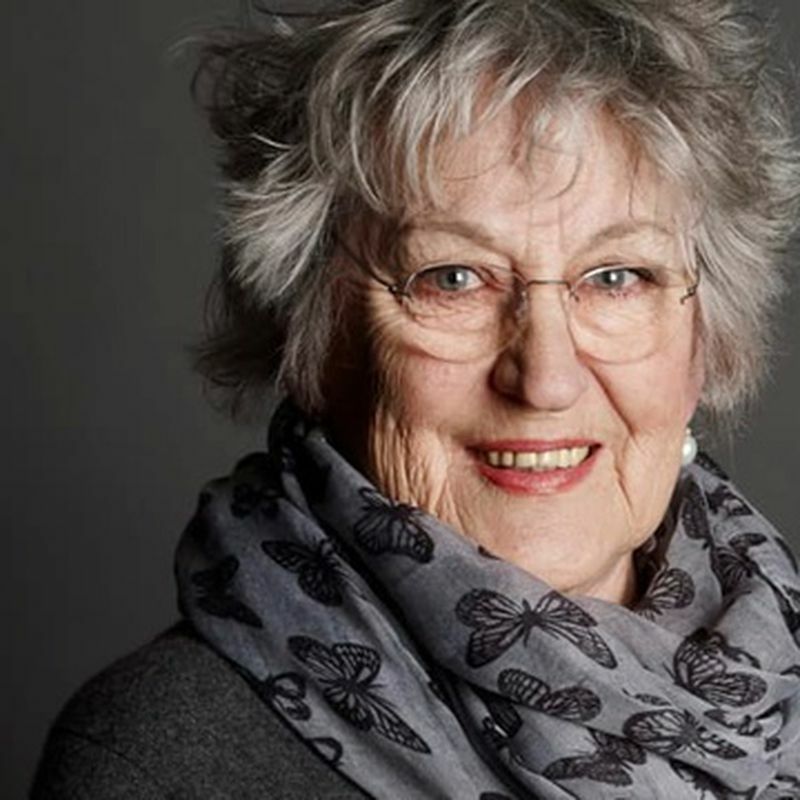 Hume’s story of a moody Melbourne has been serialised and adapted by the BBC, ABC and countless times for the stage. 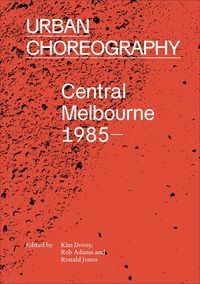 A significant thread of the transformation of central Melbourne over the past thirty years is its transforming relations with major universities, writes Kim Dovey in Urban Choreography. Did you know that over this period, tertiary education has become Australia’s third-largest export industry, and the district immediately north of the central city, anchored by RMIT and the University of Melbourne, is the largest knowledge precinct in the southern hemisphere? There are now about 102 000 international students studying at Melbourne universities. 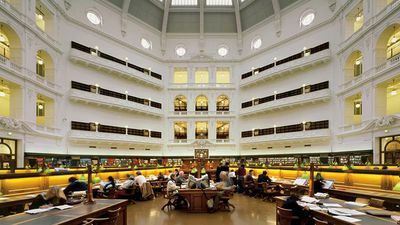 The Melbourne Model – a legacy of the University of Melbourne’s outgoing Vice-Chancellor Glyn Davis – which saw 96 Bachelors programs condense to six American-style US liberal arts degrees, now attracts 20 percent of its undergraduate students from interstate to the buzzing Parkville campus. 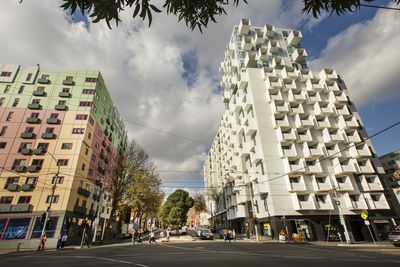 Did you know that Melbourne’s population has almost trebled in the past 50 years and is predicted to almost double again to eight million by 2050? While Melbourne has a total of about 250 kilometres of tram tracks on twenty-four routes that extend through the suburbs, the infrastructure struggles to keep up with a rapidly growing population. Regular commuters won’t be surprised to learn that tram speeds in Melbourne average 16 kilometres an hour – among the slowest in the world. If trams were not waiting at traffic lights nor blocked by turning traffic, then speeds in central and inner city would increase by up to 50 percent. There's so much more we could learn about Melbourne's urban history. And it's transformation since 1985 has been fascinating, to say the least. 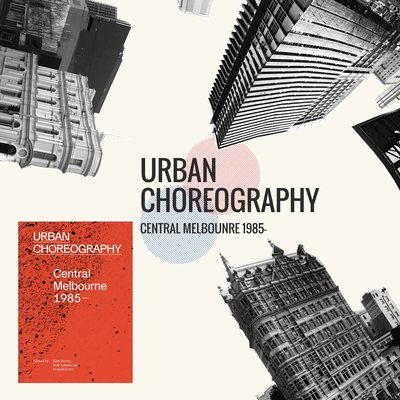 Join us this Friday for the launch of Urban Choreography: Central Melbourne, 1985—. 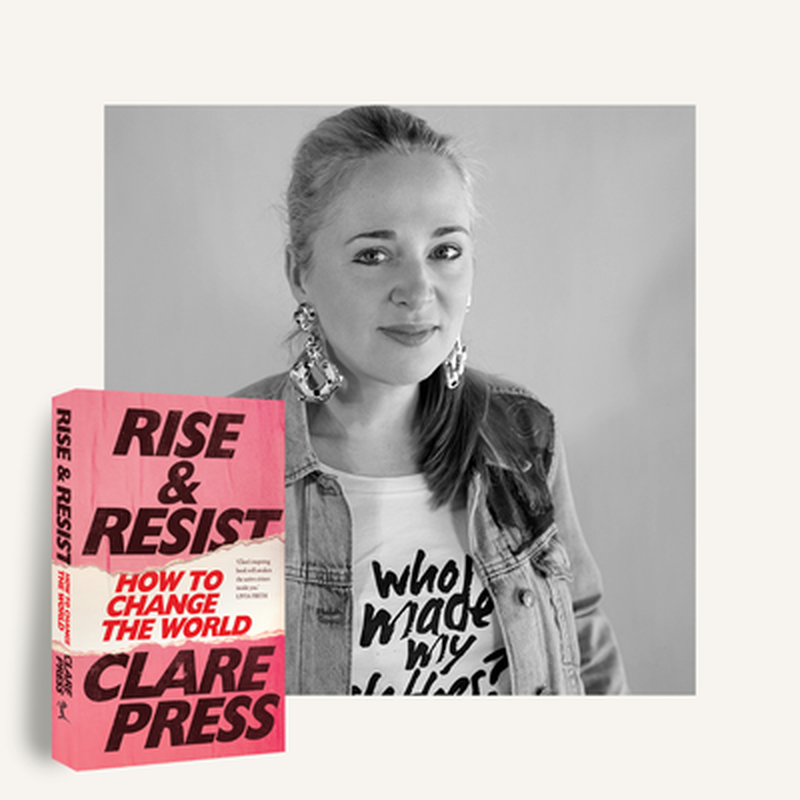 There'll be a panel with the folks who have lived, studied and even designed Melbourne's architectural strategy and then wrote a book about it: Professor Kim Dovey from The University of Melbourne, Rob Adams from City of Melbourne and Ronald Jones from the award-winning firm Jones & Whitehead and RMIT University. 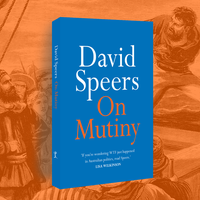 The book will be launched by outgoing The University of Melbourne VC, Glyn Davies. If you can't make it, make sure to join us via Facebook Live.